Now its coming up to Autumn and Winter, ankle boots, particularly suede ones are really in trend and these Christian Louboutin Fifre 120 suede ankle bootees, available at Net-A-Porter for £765 are just perfect for any occasion. 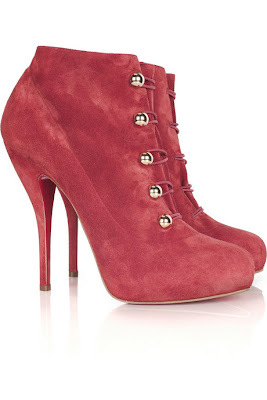 These equally gorgeous ones are by Pedro Garcia-the Dorice boots at Net-A-Porter for a cheaper £280. 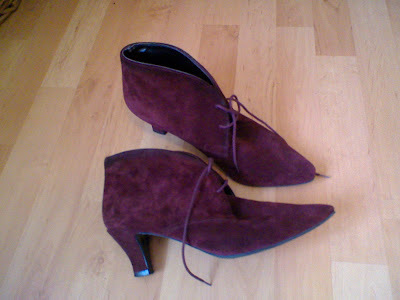 So it was great to see these in trend for autumn as I had thrifted these cute plum suede ankle boots in Spring. They were from the Cancer Research charity shop and were around £4.50. 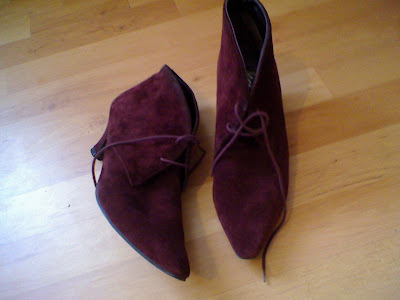 I haven't worn them yet, but on routing through my shoes and boots for autumn and winter, I realised these will also fullfil my wishlist item of heeled ankle boots, but in suede and colour. I really like the colour and style of these-not overly high for me and they will look equally as good with jeans as they will with a floral dress, cardi and opaques come the colder weather. WOW! I knew YOU would find another pair of FABULOUS SOLES! I luv this sole, (the colour and style) just what's in STYLE for FALL! Your thrift find is AWESOME. I love that color! You're going to wear these a lot, I can tell. i need/want/need those red booties. I love the colour, the style and the price! Perfect! Plum is a fab colour and suede is big this year. You will wear and wear them. Allow yourself a smug smile! These are terrific... I love the color! And they look so comfortable as well! I also like the fact they're lace-booties. I'm always so paranoid when it comes to wearing suede on my feet... just because Europe with it's rain tends to ruin them for me, so I definitely don't see a point paying a lot of money for suede footwear. Yet another fabulous steal! Lovely color and sensible heal :o) great buy. so pretty. I love the color. I hope you enjoy them. thank you so much for the note. i love the red boots! Great find in a gorgeous color. They are beautiful and look very confortable. Sharon, those are cute! I also seen a pair at Aldoshoes.com. They were blue suede and super fierce. I would order them but their shoes are european sizing with no half sizes available and I know without trying them on in the store that the sizing would be a issue for me, since their shoes seem to be cut very narrow. Any hoo, great find once again! These look like they are in the best condition...and for suede that is amazing! 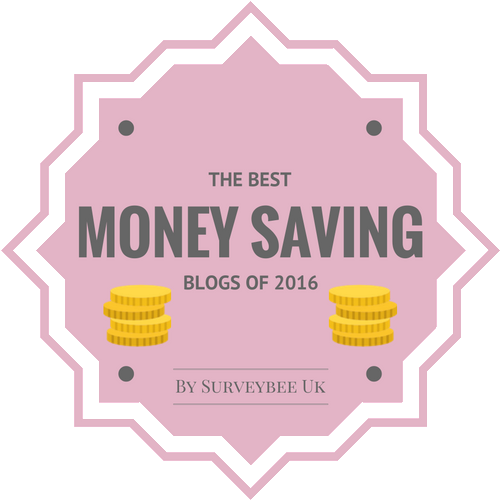 Superb find! I would prefer your choice also :) Wonderful find! Love the color of your thrifted booties!! Hi everyone-thanks so much for the fab comments, so kind of you all! don't you love how shoes can make you happy. well thrifted, as usual - lovely plum color, so autumny! Love the deep plum shade! Wow so many comments! fab boots, love the colour! Thanks so much to you all for the lovely comments!! Wow - those are gorgeous! Love them! You have such an eye for style! It reminds me of when I first moved to the UK, and was in *awe* of all the gorgeous shoes that your stores have. Much better than in Canada. I wish I knew then about your secrets to thrifting. 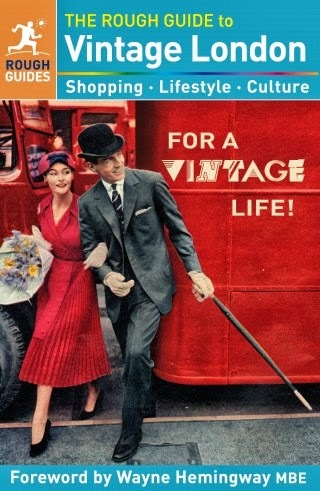 I would have been in the charity shops a lot more! Hi Saver Queen-thanks a lot, I'm lucky there are a lot of good quality, reasonably priced shops in my and nearby towns!! Fantastic! I keep on wondering how you manage to get these fab finds. You must have a special "hunting quality"...Have a nice weekend. Ciao. A.